Arthur A. Levine Books, 9781338299175, 768pp. 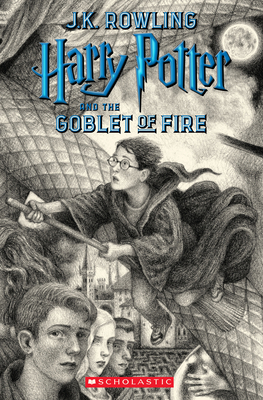 Harry Potter and the Goblet of Fire is the pivotal fourth novel in the seven-part tale of Harry Potter's training as a wizard and his coming of age. Harry wants to get away from the pernicious Dursleys and go to the International Quidditch Cup with Hermione, Ron, and the Weasleys. He wants to dream about Cho Chang, his crush (and maybe do more than dream). He wants to find out about the mysterious event involving two other rival schools of magic, and a competition that hasn't happened for a hundred years. He wants to be a normal, fourteen-year-old wizard. Unfortunately for Harry Potter, he's not normal - even by wizarding standards.